Barbara Eden starred opposite Larry Hagman in I Dream of Jeannie. Source: Ten Play. I Dream of Jeannie star Barbara Eden spent five seasons working alongside co-star and on-screen lover Larry Hagman on the hit show, and now she’s opened up on his battle with drugs and alcohol in a tell-all TV chat. The 87-year-old actress appeared on Studio 10 to discuss everything from her time on the show and her fight to save Hagman’s job, right through to her theories around Marilyn Monroe’s death and her experiences working with Elvis Presley. While Hagman appeared focused and happy on screen during his time on I Dream of Jeannie, his co-star has admitted he was actually battling his own private demons – and didn’t want to be there at all. There were rumours that their on-screen love had triggered a real life romance at the time, but Eden has always denied there was anything but friendship between them. However, behind his on-screen persona, Hagman was battling the start of a long addiction to alcohol. “He was very unhappy, in the show, [but] the minute we’d get in front of the camera he was there. He was awake, he was there and he was doing it,” she insisted. At the time, producers began to consider replacing him with another actor as his battle with alcohol started affecting his behaviour on set, but Eden fought for him to stay. 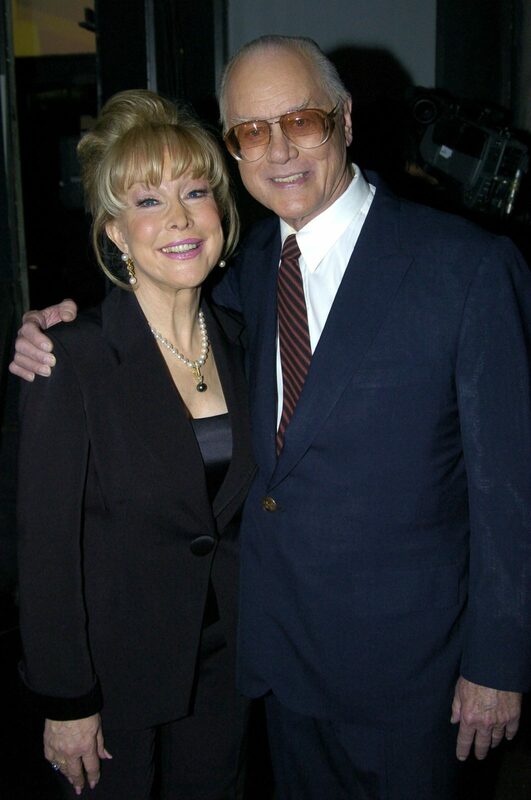 Barbara Eden and Larry Hagman in 2004. Source: Getty. She also had the chance to work with late actor Paul Newman who she described as “a very gracious person to work with”. Before her success in I Dream of Jeannie, Eden appeared in series How to Marry a Millionaire – with her role based on that of Marilyn Monroe’s character in the original movie. Do you remember watching I Dream of Jeannie?